For those struggling to come up with gift ideas for the anglers on your holiday list, here is a short list of suggestions ranging from essential tools to standard-setting wearables. The 2018 Simms Contender insulated jacket is what you get when designers are asked to leave no stone unturned. 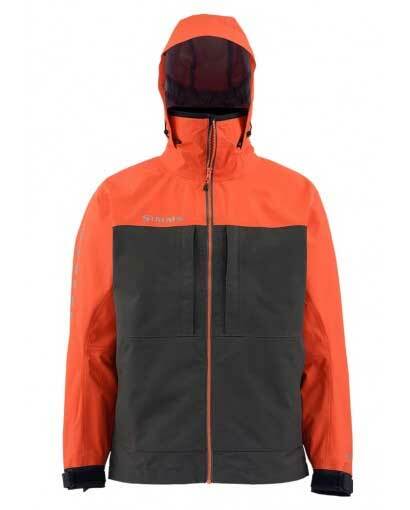 This jacket is a standout on account of what it does and doesn’t do: it will keep you bone-dry and warm. At a mere 850 grams, it won’t weigh down your gear bag. The designers laid out the abrasion resistant panels, zipper and Velcro system in a way that makes the jacket effectively snag-proof. The PrimaLoft Gold insulation will crush down and then bounce right back into shape, making the jacket highly stow-able. Four essential bases are covered. Comfort is also addressed via innovative architecture at all flex and pivot points: the designers relied heavily on SIMMS’s previous jacket designs — all of which take fishing/casting kinetics into minute account. Now for those features: 2-layer waterproof/breathable, seam taped GORE-TEX Shell for waterproof/breathable protection, quilted, ultra-light PrimaLoft Gold insulation (60g/body, 40g/sleeves), two micro-fleece lined handwarmer pockets, 2 chest pockets with YKK AquaGuard zippers, YKK #8 AquaGuard vislon center front zipper, shingled cuff construction with Lycra inner cuff, tuck-away, 3-point adjustable Storm Hood, AquaGuard VISLON zipper for fluid repellency. Summary: salmon chasers rejoice. Your time spent in frigid temps (and waters) will be greatly improved. Dr. Slick is now offering mitten clamps (in a variety of colors). This new model is compact, lightweight and attractively priced. They have a solid, integrated and streamlined hold/release mechanism with jaws and eye buster best suited to smaller jobs: excellent for troutings. Makes a sure-fire gift idea. 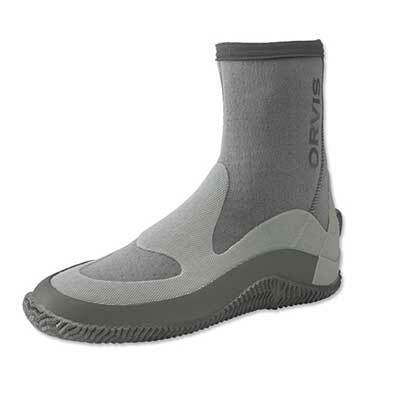 Anyone with plans that include flats fishing may want to consider Orvis’s Christmas Island Bootie: they offer the perfect balance of flexibility, feel and protection. The freshly updated model is made with an Airprene upper, which allows water to flow freely through the boot and keeps sand and grit out. Easy on/off with a YKK side zipper that is secured at the top by a hook-and-loop tab to prevent line snags — an all too common occurrence. The sole and sidewall are comprised of a heavy-duty, Vulcanized, ridged rubber to protect against coral abrasion and offer excellent stability — as well as excellent feel on uneven surfaces. Bonus: improves stealth on a skiff by reducing vibrations. Comes with a reusable mesh carry bag. Patagonia Technical Sun Gloves can vastly improve your day on the water. Synthetic suede palm offers protection when palming a reel, and gets extra grippy when wet — great for tailing fish. Improved design features longer finger coverage with convenient pull tabs for easy on/off. Package is topped off with poly-spandex knit jersey for sun protection. 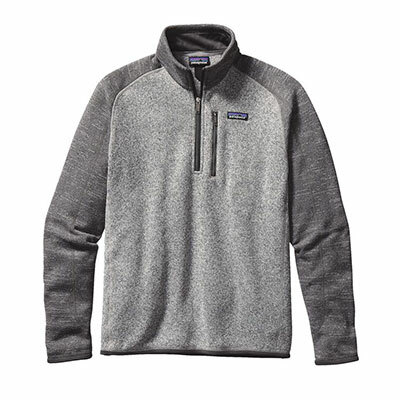 Patagonia’s fleece styles are now made in fair-trade-certified factories, directly benefiting the workers who make them, and this fall, Patagonia is offering 480 fair trade styles made in 14 different factories. One example: the Better Sweater ¼ Zip, which has become a staple for many outdoor enthusiasts, and there’s good reason for its ubiquity: way-above-average materials, construction and fit that features a streamlined, no fuss design, plus superior warmth and breathability, making this sweater a standout. VOORMI now makes beanies — a pretty natural progression for the company that offers thermal protection via its surface-hardened wool fiber garments. The beanies get an additional treatment, rendering them soft, pliable, warm and comfortable. An excellent fishing accessory that will take up very little space in your pack. 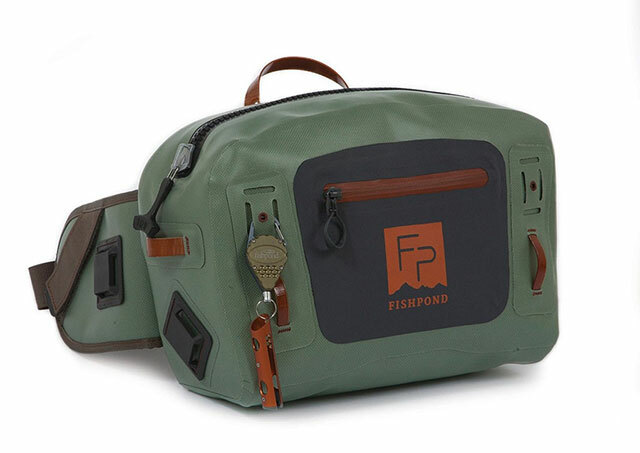 When you expect the utmost from your gear: Fishpond USA Thunderhead Submersible Lumbar Pack is a fully waterproof pack that is built for when you find yourself in the worst conditions. The streamlined design features nearly indestructible materials and build. Airtight, submersible, and built with recycled 1680 Denier TPU coated Cyclepond nylon. Clean layout means secure accommodation for your high end camera and box of masterfully crafted flies. Bonus: can be worn three different ways, excellent for varying terrain.